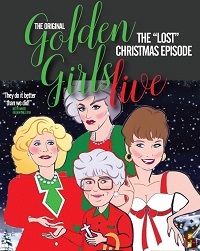 Join the Bay Area Chapter for holiday merriment as we watch The Golden Girls Live! The Christmas Episodes. The Golden Girls are back in San Francisco to perform the uproarious holiday episodes from the critically acclaimed sitcom The Golden Girls. In what has become a yearly tradition in San Francisco, The Golden Girls Live! is a family friendly event that features local drag stars Heklina, Matthew Martin, D'Arcy Drollinger, and Holotta Tymes. Join the fun as they bring to life everyone's favorite girls: Dorothy, Blanche, Rose, and Sophia! Before the show, head over to Crafty Fox Ale House for delicious appetizers and a no-host bar. Gather with CMC alumni and parents and share your favorite Golden Girls scene or quote while tasting one of the 36 beers on tap from one of the best breweries in the Bay Area. Tickets: $35 each (Located in the Balcony Center, Row D). Appetizers will be provided at the reception; no refunds.